Location : within Altaraza Estate Bulacan. Tungkong Mangga, San Jose del Monte City, Bulacan. Avida Settings Altaraza is situated in Altaraza Town Center, Ayala Land’s mixed-use development in San Jose del Monte city, Bulacan. Being part of this development yields a complete and convenient living experience. Residents can enjoy the perks of living close to an expense of retail and business establishments, institutional facilities, and generous public spaces. Avida Settings Altaraza is located in Altaraza Town Center in San Jose del Monte City, right at Northern Metro Manila’s doorstep. It is highly accessible through major thoroughfares such as Quirino Highway, Commonwealth Avenue, and NLEX. Near the development are churches, schools, and commercial centers. Lot Area : 158.00 sqm. Floor Area : 69.00 sqm. Lot Area : 163.00 sqm. Floor Area : 88.00 sqm. Avida Settings Altaraza is located in a 12.5 hectare parcel of land in Barangay Tungkong Mangga, San Jose Del Monte City, Bulacan. The project will be accessible from Quirino Highway. This will be part of the Altaraza Town Center mixed-use development by Ayala Land Inc. along Quirino Highway. The masterplanned development boasts of generous open spaces utilizing site’s greens and rolling terrain. Avida Residences Altaraza will offer both House and Lot and Lot Only Units. The houses would be of a Modern Contemporary theme. The development features a 1.6-hectare Nature Park with century-old trees which have been preserved and integrated into the landscape design as part of Ayala Land’s commitment to the environment. Thoughtfully planned amenities maintain the location’s lush environment and provides a stage that encourages interaction and a sense of community. SM City San Jose Del Monte beside Altaraza Town Center. Source : SM Prime website. 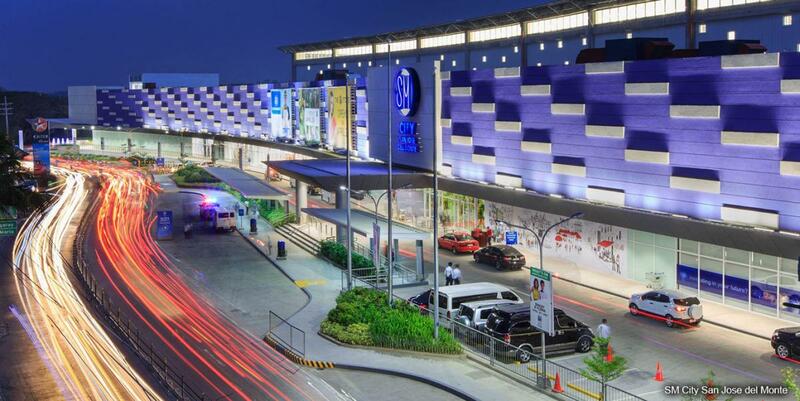 5 minutes away from Starmalls San Jose del Monte. Source : Stamalls website.